Do You Need A Domestic Plumber Melbourne? No matter what domestic plumbing job you require, Inner City Plumbing has the expertise to provide you with an efficient quality plumbing service. We are proud of our reputation and you can rely on Inner City Plumbing every time. At Inner City Plumbing, we pride ourselves on delivering 100% customer satisfaction. Our team of plumbers are knowledgeable, friendly, and passionate about helping people solve their plumbing problems. Our fully equipped vans ensure that we have the tools and equipment to perform any job. We have been in the plumbing business since 1994. Over that time, we have offered high quality plumbing services all throughout Melbourne and the surrounding areas. We always use the most recent plumbing technology and best practices to address your plumbing issue. Emergency Plumbing: Few things are as much of a nuisance as plumbing emergencies. When your drain or sewer is blocked, it can cause an enormous inconvenience for your entire household. Clogged or leaking toilets, burst pipes, and dripping taps can also be a nuisance, and need to be rectified immediately. At Inner City Plumbing, we understand how much these issues can disrupt your lifestyle. This is why we offer emergency plumbing solutions at anytime, day or night. Our guaranteed one hour service ensures that your plumbing emergency will be fixed quickly, so you can get back to your normal routine. Contact one of our representatives immediately if you are experiencing a plumbing emergency. 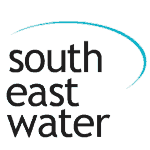 Hot Water Units: We can repair a range of different hot water units, as well as install new ones. If you are shopping for a new hot water unit, our experienced technicians can even offer you advice on which models are best for your family’s unique needs. Gas Repairs: Installing a new gas line or a gas appliance is a job that is best left to a professional. Our technicians are highly trained and licensed to safely work with gas products. We can test for gas leaks, repair gas lines and fix a range of different broken gas appliances. If you suspect a gas leak contact us immediately. Is There A Domestic Plumbing Emergency in Melbourne? Do you need a domestic plumber to attend your location today? 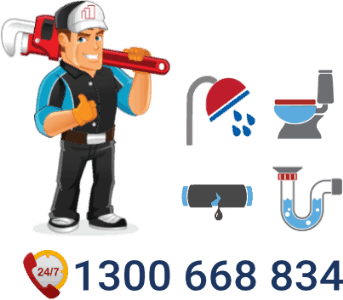 If you in need a domestic plumber Melbourne then Inner City Plumbing has a team of local plumbers that are able to service all your plumbing requirements 7 days a week. Our trained & qualified plumbers can arrive at your location at any time of the day for your convenience. You can be confident that we will service you in Melbourne no matter what time of the day or night. 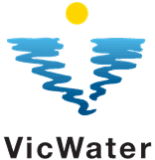 Our Melbourne plumbers are professional, reliable, efficient, on time and very customer focused. In fact, 100% customer satisfaction is what we strive for and we expect nothing less. We stay until you completely satisfied. We are your local domestic plumber Melbourne. Call us now on 1300 668 834 to have a domestic plumber visit you any time of the day or night in Melbourne. Inner City Plumbing are your local domestic plumbers in Melbourne. We offer all types plumbing services both residential and commercial. To reach us immediately call our 24/7 number 1300 668 834. Our friendly domestic plumber Melbourne will be happy to answer any questions and book you in for a service call. To unblock a blocked drain around the home effectively you really need an experienced and qualified domestic plumber to handle the job. If you have a blocked drain in Melbourne and you try to fix it yourself, you can run the risk of causing more damage to your drains or pipes without using the correct equipment and procedures to unblock your drain. This could also result in more expensive repair costs in the long run. Our team of dedicated domestic plumbers can make sure this does not occur. More importantly, we are open 24 hours a day, 7 days a week to service your needs. We are your local domestic plumber in Melbourne. For all your emergency plumbing needs Inner City Plumbing is your local domestic plumber Melbourne. We have over 20 years of experience in emergency and general plumbing in Melbourne. With the right equipment, training and experience we can diagnose your plumbing problem fast. Our emergency domestic plumber Melbourne will not make you wait to fix your plumbing emergency. We guarantee that a domestic plumber Melbourne will be at your location within the hour! 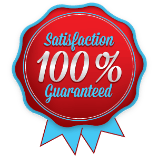 100% customer satisfaction is our motto so will not take any short cuts. 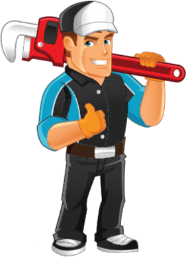 The last thing you need to do is book another appointment to have a domestic plumber Melbourne visit you a second time to fix poor workman ship. We will always do our very best to fix the plumbing emergency right the first time. That is why our domestic plumber has a vehicle that is fully stocked and equipped to handle just about every plumbing situation. However if we do not have the right part on board, we will order it in straight away and put a short term solution in place. Spare parts normally arrive within 24hrs this means we can return to complete you job fast. Inner City plumbing are your emergency plumber in Melbourne 24/7. When you need a 24 hour domestic plumber call Inner City plumbing on 1300 668 834 for 1 hour response time guaranteed. We always have a 24 hour domestic plumber Melbourne on call to handle any plumbing emergency. 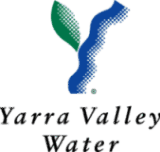 For over 20 years we have been servicing Melbourne and surrounding suburbs with full time 24 hour plumbing services. We know what to do with an plumbing emergency situation in Melbourne. With years of experience in taking care of plumbing emergencies in Melbourne we know how diagnose and fix a plumbing problem quickly. Our 24 hour domestic plumber can be at your location to resolve your problem within 60 minutes or less. Our domestic drain camera services in Melbourne operate 24 hours a day 7 days per week. The benefit of using a drain camera to inspect your drains or pipes is that we can identify any potential issues or blockages that are hidden from above the ground. 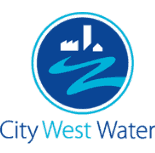 At Inner City Plumbing we use the latest CCTV technology and can supply you with a DVD of every part of your drain system. All our camera findings are displayed directly on a screen for viewing. This helps us locate and identify the exact position of where repairs are needed or where the drain might be blocked. We deal with domestic drain and sewer problems that require drain cameras all of the time. Best of all, our services are open 24 hour a day 7 days a week for your convenience. We can also pressure clean your drains and sewers if required. Your local domestic plumber Melbourne has all the equipment and skills to deal with all types of plumbing problems whenever they occur. Do you have a residential gas leak? If so you need a Gas plumber and Inner City Plumbing is your licenced gas professional for all gas installations, gas leaks and gas repairs in Melbourne. Gas leaks can be very dangerous and should not be underestimated. For safety make sure you use a qualified domestic gas plumber to find and fix the gas leak. Anything to do with gas appliances such as heaters or cook tops should be handled by a professional licenced gas fitter. To book our domestic gas plumber Melbourne call 1300 668 834. Our professional plumbing team are well trained and qualified. We guarantee your job will be completed in a timely manner. We have a long established reputation for 100% customer satisfaction in and around Melbourne. Inner City Plumbing is your first choice for a reliable domestic gas plumber. We do gas fittings and gas installations throughout Melbourne and surrounding suburbs. Inner City Plumbing is a leading domestic gas plumber in Melbourne. Burst water pipes and broken water mains are common domestic plumbing emergencies. Scheduled pipe and sewer maintenance around the home or business is often neglected. Fortunately, most leaks and burst pipes in can be easily fixed by our friendly team of professional domestic plumbers. One phone call to us and we can fix, repair, replace and re-route your pipes. Call us now on 1300 668 834. Your domestic plumber Melbourne can quickly diagnose a burst pipe and either repair or replace it as required. Domestic Plumber Melbourne	Overall rating:	4.6	out of 5 based on 117	reviews.